Your entry door is one of the first things people see when they visit your house, so it makes sense to consider this purchase wisely. You can make a great first impression on guests and future buyers by choosing a high-quality, beautifully crafted front door. And what better place to find one than at our one-stop shop for windows and doors? Explore our selection. Here at Arch Design Window and Door Co., we specialize in supplying homeowners in the Cincinnati, OH, area with durable and attractive entry doors from the industry's leading brands. Do you want your entry door installation to stand the test of time? Of course you do! For a great-looking door that is durable and requires almost no maintenance, fiberglass is your best bet. Therma-Tru's premium fiberglass entry ways are up to four times more energy efficient than wood and won't split, crack, or rot. Check out the manufacturer's site to learn more. 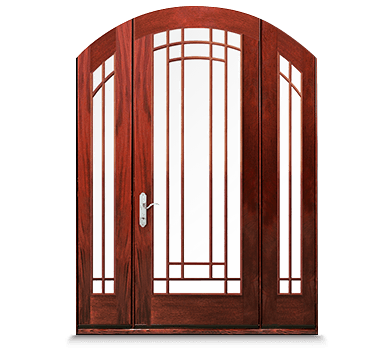 Wood doorsareaclassic option thatcan instantly boost theresale value of your home. And the Andersen brand is known for producing inspired, quality products thatare morethan just pretty exteriors. 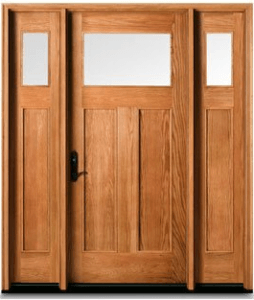 For over 100 years, Andersen has led the door industry. Their wood entry doors are handcrafted from premium-grade wood fora unique look that lets the character of your home shine through. Explore their site to browse the different styles they have available. Arch Design Window Door Co. is Greater Cincinnati’s replacement window and door specialists. We are the ONLY Authorized Independent Service Provider for Andersen Windows in Cincinnati and Northern Kentucky. Call Us today at (513) 367-0737.